What Are Ideal Cut Diamonds? 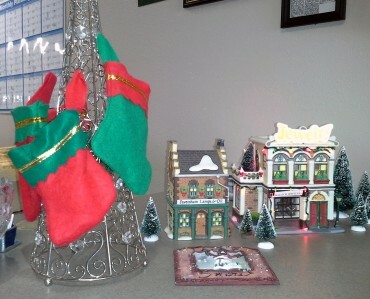 Valentine’s Day is around the corner in Sun City, Arizona. The end of January means “Love is in the Air” for all of us and when “Seeing Red” is a good thing. 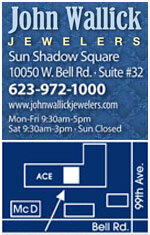 We have great gifts for your Valentine at John Wallick Jewelers. Monday – Friday: 9:30 A.M. to 5 P.M.
Saturdays: 9:30 A.M. to 3:00 P.M.
© 2019. 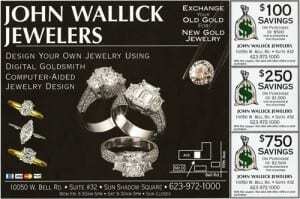 John Wallick Jewelers. | All Rights Reserved. | Website Maintained by Creative Developments Web Design and Internet Marketing. 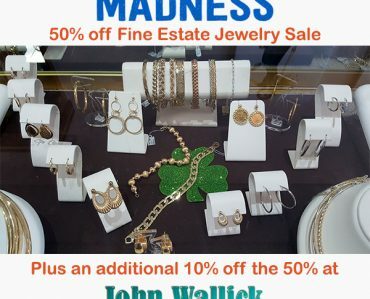 | John Wallick Jewelers in Sun City, AZ: a jewelry store near Phoenix, Arizona, offer appraisals, remounts, repair, diamond rings & handcrafted, custom wax carving designs. 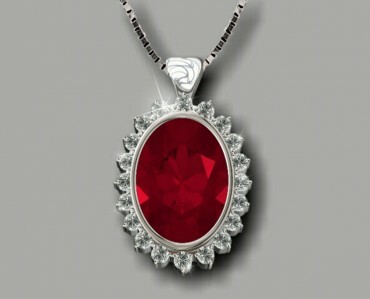 We buy & sell gold, gemstones and jewelry. 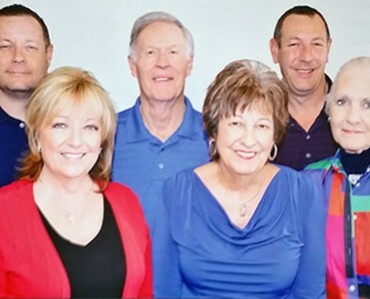 We service valley residents throughout the Valley in Sun City, 85345, 85351, 85373, 85374, 85381, Sun City West, 85374, 85375, Avondale, 85323, 85392, Bumstead, 85379, El Mirage, 85335, Gilbert, 85142, 85204, 85206, 85209, 85212, 85234, 85296, Glendale, 85031, 85033, 85301, 85302, 85303, 85304, 85305, 85306, 85308, 85309, 85310, 85345, 85381, 85382, 85383, Litchfield Park, 85340, 85392, Peoria, 85351, 85373, 85387, Surprise, Arizona, 85342, 85355, 85361, 85373, 85374, 85375, 85379, 85383, 85387, 85388, 85396, Waddell, Arizona, 85355 and Youngtown, Arizona, 85363.